Free music alert! In conjunction with the nice people at Relentless, you can now go and download free tracks by UNKLE as featured in their new feature-length documentary, Lives Of The Artists: Follow Me Down. Set in Tokyo, St. Petersburg and London, Lives Of The Artists: Follow Me Down is immersed in the uncompromising sounds and beliefs of a pioneering musical outfit that have striven to push the boundaries of artistic expression while retaining total integrity for close to 20 years. 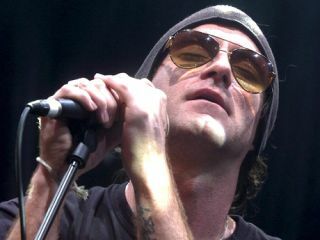 The soundtrack to the film was written exclusively by UNKLE. With new vocals and never-before-heard arrangement, new track Set No Sun has had a little of the remix treatment just for you. UPDATE! (8 SEPT) Relentless have now made four more UNKLE tracks from the Lives Of The Artists: Follow Me Down soundtrack available for FREE download - Compusion, Not A Sound, Heaven (Live) and Under The Ice. To download these tracks, simply join Relentless Energy Drink community The Order via the below link. Lives Of The Artists: Follow Me Down has been in production for months and represents the second feature-length chapter in Relentless's meandering, cinematic adventure into the realm of personal obsession and heroic artistic pursuit. Featuring James Lavelle and UNKLE, as well as legendary freeriders Jeremy Jones and Xavier De Le Rue (star of the first film), Follow Me Down explores a theme that anyone driven by some immeasurable passion will recognise - that there are no easy rides in life. If you are unable to view the video, click here to watch it at the Relentless YouTube site.